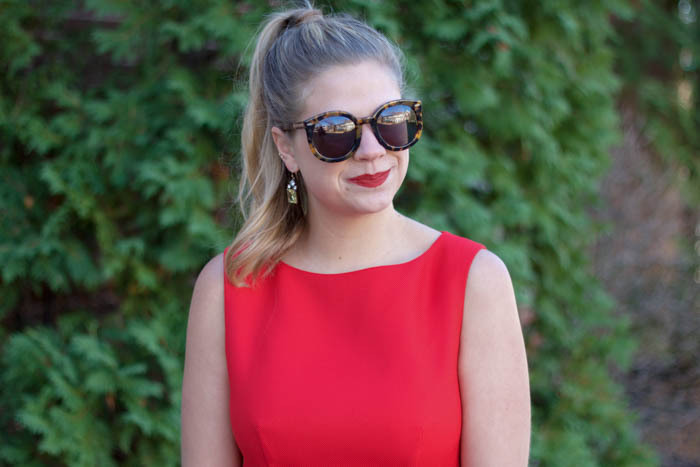 You always hear people talk about a LBD (Little Black Dress) but with Holiday parties just around the corner, I think everyone needs a LRD (Little Red Dress)! I posted about this dress on my Instagram a while back and am so excited to finally share it! 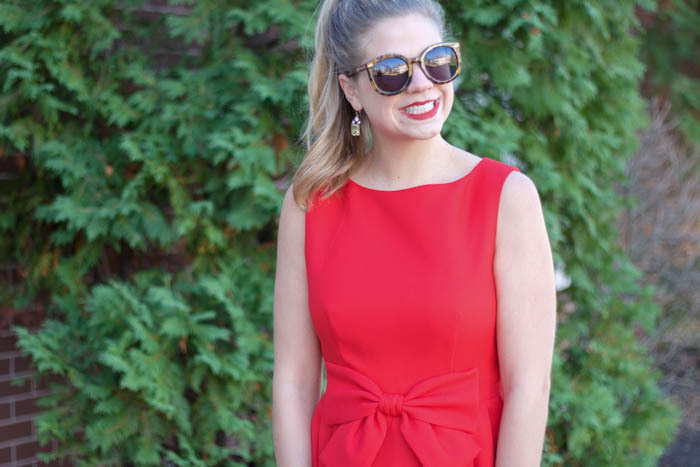 I bought this dress while on my honeymoon in Dublin back in September and have been patiently waiting for the right occasion. 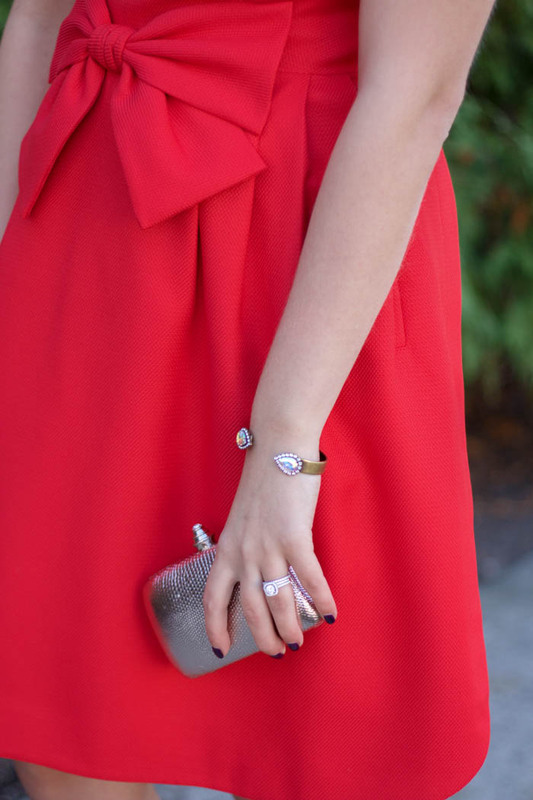 Even though this dress comes in a few more "me" colors (i.e. black and pink), I decided to step out of my comfort zone with this candy apple red color! We still have a few weeks before December is upon us, but it's never too early to start shopping for your Holiday outfits! 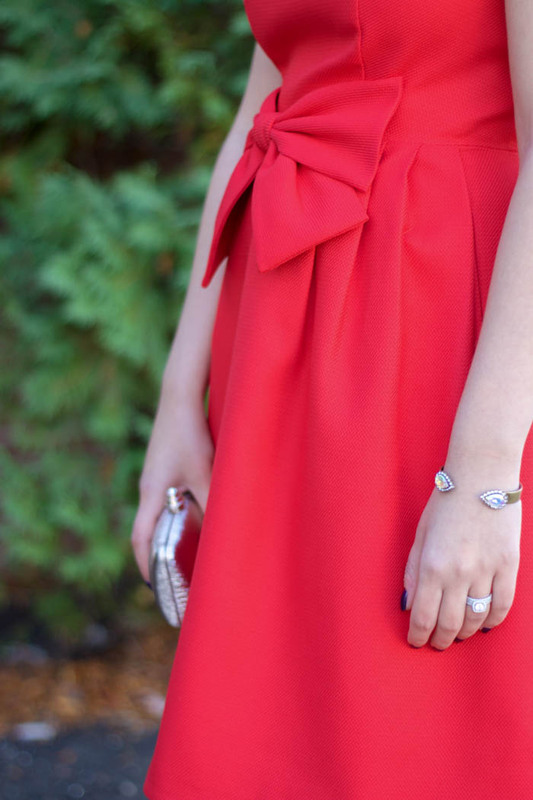 I could also see wearing this dress on Valentine's Day or even a 4th of July wedding! P.S. This is the first time I have ever worn red lipstick (shade: Cruella), I felt so Taylor Swift!